Dammy Krane's mother, Elizabeth Adeola Oshodi, has issued an official statement on his arrest for theft, fraud and grand theft in Maimi, US. The singer was on Friday, 2nd of June, arrested for grand theft allegations, credit card fraud, and identity theft. He is currently being held in jail at the Miami Dade County Corrections as he awaits to meet his bond requirement. 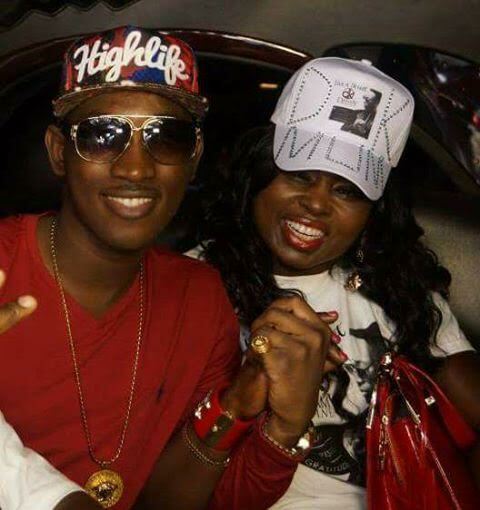 In a statement issued through her Facebook account, the singer's mother claimed that Dammy Krane's flight ticket and hotel bookings were fraudulently purchased by a show promoter before he got arrested while trying to board a flight from Miami to Washington. As an artiste, promoters book your hotel stays and often buy your destination tickets. It's never once crossed our hearts as a performing entertainment family, to have to verify that the sources of bookings are legitimate. And please, keep in mind that we've been in the industry for almost 15 years. Then came the unfortunate past Friday, when Dammy Krane got arrested trying to board a flight from Miami to Washington: Maryland. His ticket and hotel bookings were fraudulently purchased by the next show promoter (s). And because of Dammy Krane's fame, all accusatory hell, broke loose.